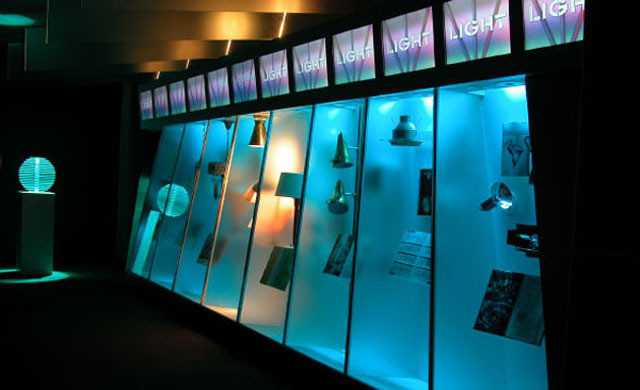 On the 100th anniversary of Lightolier and renovation of the national headquarters, Whirlwind executed a 30 foot long multi-media wall of motion lighting, sound, 12 screens, and seven cases with controlled lighting. A sculptural sphere fabricated in acrylic discs is pure magic in the gallery. On cue, prior to the beginning of each show, large black-out shades descend to block the sun in a light drenched, glass lobby.